Palestinians have been victims ofgenocide as defined by the 1948 Genocide Convention since the founding of theState of Israel. I say that because of my practical experience. I single-handedly won two World Court Orders for the Republic of Bosnia and Herzegovina against Yugoslavia (both Serbia and Montenegro)to cease and desist from committing all acts of genocide against the Republic of Bosnia and Herzegovina.This was the first time ever that any lawyer let alone government had won two such World Court Orders in one case since the World Court was founded in 1921.If you are interested all of my oral and written submissions to the World Court on genocide for winning those two World Court Orders overwhelmingly in favor of Bosnia can be found in my book The Bosnian People Charge Genocide! (1996). 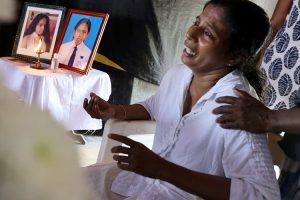 Article II of the Genocide Convention defines the international crime of genocide in relevant part as follows:“In the present Convention, genocide means any of the following acts committed with intent to destroy, in whole or in part, a national, ethnical, racial, or religious group, as such:(a) killing members of the group;(b) causing serious bodily or mental harm to members of the group;(c) deliberately inflicting on the group conditions of life calculated to bring about its destruction its physical destruction in whole and in part…”That is exactly what Israel is doing today to the 1.8 million People of Gaza:Deliberately inflicting on the group conditions of life calculated to bring about their physical destruction in whole or in part.The Zionists have been doing this since they imposed their siege on Gaza starting in 2007.I have been all up and down and back and forth over Gaza. Gaza is just like the Dachau concentration camp that I have also visited myself. As documented by Israeli historian Ilan Pappe in his seminal book,The Ethnic Cleansing of Palestine (2006), Israel’s genocidal policy against the Palestinians has been unremitting,extending from before the foundation of the State of Israel in 1948 and is ongoing even now and especially intensifying against the 1.8 million Palestinians living in Gaza.As Pappe’s analysis established, Zionism’s final solution to Israel’s much-touted and racist and genocidal demographic “threat” allegedly posed by the very existence of the Palestinians has always been genocide,whether slow motion or in blood thirsty spurts of violence as we have seen more recently in Operation Cast Lead and Operation Protective Edge — both euphemisms for Zionist genocide against the Palestinians and the People of Gaza. Indeed the very essence of Zionism requires ethnic cleansing and acts of genocide against the Palestinians.Concerning Operation Cast Lead in 2008-2009, U.N. General Assembly President Migueld’Escoto Brockmann,who had been the Foreign Ministerof Nicaragua during Reagan’s contra-terror war against them, condemned it as genocide.At that earlier time, I was down in Nicaragua myself and for many years helped the Nicaraguan People against the Reagan contra-terror war against them that was soundly condemned by the International Court of Justice. You can read about this in my book Defending Civil Resistance Under International Law (1987). Israel and its predecessors-in-law the Zionist agencies, forces, and terrorist gangs have committed genocide against the Palestinian People that started on or about 15 May 1948 –Nakba Day.You will note that President Trump has decided to stick it to the Palestinian People by illegally moving the U.S.Embassy from Tel Aviv to Jerusalem on Nakba Day 2018 and has already illegally recognized Jerusalem as the capital of Israel for the first time ever.In mybook Palestine, Palestinians,and International Law (2003), I have an entire chapter on the legal status of Jerusalem under international law.It is quite interesting that the last time we had an official statement on Jerusalem by the United States government was by George Bush Senior when he was the United Nations Ambassador.He correctly pointed out the reasons why the United States government had not previously recognized Jerusalemas the capital of Israel and kept the U.S.Embassy in Tel Aviv.Prior to President Trump! I have been to that U.S. Embassy in Tel Aviv in order to complain vigorously about the war crimes that Israel has inflicted against the Palestinians.You know what they told me?That this was an “internal affair” of Israel!In other words the United States government was not going to get involved, was not going to do anything at all about it, and if I didn’t agree with that decision I could take it up with the State Department in Washington D.C.Well of course I knew that would be a waste of time and so I did not. Certainly Israel and its predecessors-in-law the Zionist agencies,forces, and terrorist gangs committed genocide against the Palestinians that started on Nakba Day 1948 and continues apace until today in violation of Genocide Convention Articles II(a) and (b) and (c) that I quoted to you already.For over the past seven decades the Israeli government and its predecessors-in-law the Zionist agencies,forces, and terrorist gangs have ruthlessly implemented a systematic and comprehensive military, political,religious, economic, and cultural campaign with intent to destroy in substantial part the national, ethnical, racial, and different religious (Jews versus Muslims and Christians) group constituting the Palestinian People.Just last week we saw that the Christian denominations in charge of the Church of the Holy Sepulchre had to shut it down because the Zionists are trying to tax it out of existence in violation of the Hague Convention of 1907,the Fourth Geneva Convention of 1949, and other rules of customary international law binding upon Israel. The Zionists could not give diddly-squat about international law! I have been up against them for decades,both in Israel and here and all over the world. I’ve debated them, I’ve argued with them,I’ve opposed them.They all lie!Every one of them that I have ever dealt with personally lies and that includes the American Zionists at the U.S. State Department. It was so bad that when I was the Lawyer for the Palestinians at the Middle East Peace Negotiations, the State Department would lie to them, literally lie to them, about documents that they had drawn up for the Palestinians to sign in English.The Palestinians would bring them back to me with the notes as to what the State Department said these documents meant. I said well that’s a lie, this is a lie, the other thing is a lie, etc.Just bald-faced lies by the U.S. State Department to the Palestinians. The United States has never been an “honest broker”when it comes to the Palestinians.I have been there from the outset of the Middle East Peace Negotiations in 1991 with my Client and Friend the late great Dr. Haider Abdul Shaffi from Gaza itself,Head of the Palestinian Red Crescent Society there. It’s a shocking disgrace what the U.S.government has done to the Palestinians from the very outset of these negotiations in 1991 and still continuing today under Kushner,Greenblatt and Friedman.Do you really think we are going to get peace between Israel and the Palestinians from three Orthodox Jews?Of course not! And to show you how bad it was back in 1991 at the beginning of these peace negotiations,Bush Senior put three American Jews incharge of the process: Ross,Miller, and Kurzer.They even later admitted they served as Israel’s lawyer. That is true, I was there up against them.Notice nothing has changed from 1991 until today. It’s still three American Jews in charge of these so-called peace negotiations serving as lawyers for Israel. I remember telling my Client and Friend at these peace negotiations Hanan Ashrawi that this was un-American.She smiled very politely looking at me and I could tell what was on her mind:No this is typically American Typically American when it comes to the Palestinians. I can tell you that because I’vebeen there for a long time dealing with these American Zionists and opposing them for the Palestinians. This Zionist-Israeli campaign has consisted of killing members of the Palestinian People in violation of Genocide Convention Article II(a). This Zionist-Israeli campaign has caused serious bodily and mental harm to the Palestinian People in violation of Genocide Convention Article II(b).This Zionist-Israeli campaign has deliberately inflicted on the Palestinian People conditions of life calculated to bring about their physical destruction in substantial part in violation of Article II(c) of the Genocide Convention. Particularly in Gaza today as we speak 1.8 million Palestinians are being treated almost as if they were Jewsat Dachau. Apologists for Israel have argued that since these mass atrocities are not tantamount to the Nazi Holocaust against the Jews therefore they do not qualify as genocide. Previously I had encountered and refuted this completely disingenuous, deceptive, and bogus argument against labeling genocide for what it is when I was the lawyer for the Republic of Bosnia and Herzegovina arguing their genocide case against Yugoslavia (both Serbia and Montenegro)before the International Court of Justice. There the genocidal Yugoslavia was represented by Shabtai Rosenne from Israel.Think about that! Israel’s top international lawyer was representing the Yugoslav genociders against the Bosnians.Indeed in these proceedings Rosenne listed himself as Ambassador-at-Largefrom Israel. Why? Israel was supportingthe Yugoslav war of extermination against the Bosnians, including against the Bosnian Jews who were my Clients as well. I acted to protect them all at the World Court:the Bosnian Jews,Bosnian Muslims,Bosnian Croats, and others. Rosenne from Israel proceeded to argue to the World Court that since he was an Israeli Jew,what Yugoslavia had done to the Bosnians was not the equivalent of the Nazi Holocaust against the Jews and therefore did not qualify as genocide within the meaning of the1948 Genocide Convention.You can see the live transcript of the oral arguments and debates between Rosenne and me in my book The Bosnian People Charge Genocide! I rebutted Rosenne by arguing to the World Court that you donot need the equivalent to the Nazi Holocaust against the Jews in order to find that wholesale atrocities against a civilian population constitute genocide in violation of the 1948 Convention. Indeed the entire purpose of the Genocide Convention was “to prevent”another Nazi Holocaust against the Jews.That is why Article I of the Genocide Convention clearly provided: “The Contracting Parties confirm that genocide, whether committed in time of peace or in time of war, is a crime under international law which they undertake to prevent and to punish.”Let me repeat that:“to prevent.” That’s what the Palestinian BDS Campaign is all about.That is why we are here tonight: “to prevent” the Zionist genocide against the Palestinians that is still going on today, including and especially in Gaza. Certainly Yugoslavia intended to exterminate all the Bosnian Muslims if they could have gotten away with it as proven by their subsequent mass extermination of 7,000+ Bosnian Muslim men and boys at Srebrenica in July of1995. I would later become the Attorney of Record for the Mothers of Srebrenica and Podrinja as well as for the Women of Srebrenica at the International Criminal Tribunal for the Former Yugoslavia (I.C.T.Y. ).In that capacity I convinced the I.C.T.Y. Prosecutor Carla del Ponte to indict Yugoslav President Slobodan Milosevic for every crime inthe I.C.T.Y.Statute for atrocities he inflicted upon the Bosnians, including two counts of genocide:One count of genocide for Bosnia in general and the second count of genocide for Srebrenica in particular. Notice 7,000+ was enough to constitute genocide as far as the I.C.T.Y. Prosecutor was concerned. Milosevic died while on trial in The Hague after the I.C.T.Y.itself denied his Motion to Dismiss these charges after the close of the prosecution’s case and sustained all of the charges against him including and especially the two counts of genocide: genocide in general in Bosnia, and genocide in particular against the 7,000+Bosnian Muslim men and boys at Srebrenica. The World Court agreed with me overwhelmingly and emphatically rejected Rosenne’s specious, reprehensible, and deplorable arguments.So they issued their first Order to me on 8 April 1993 that Yugoslavia must cease and desist from committing all acts of genocide against the Bosnians, both directly and indirectly by means of their Serb surrogates.This was the international equivalent of the U.S.domestic temporary restraining order and injunction combined. The same was true for the second World Court Order with three additional measures of protection that I won for Bosnia and Herzegovina against Yugoslavia on 13 September 1993.The same was true for anArticle 74 Paragraph 4 Order I won for Bosnia against Yugoslavia from the World Court on 5 August 1993. In its final Judgment on the merits in the Bosnia case issued in 2007, the World Court definitively agreed with me once and for all time that in order to constitute genocide a state must only intend to destroy a “substantial part” of the group as such. The state did not have to intend to destroy the entire group as Rosenne had argued, but only a“substantial part” as I had argued in 1993.So in other words based on these World Court rulings and also rulings by the International Criminal Tribunal for the Former Yugoslavia, to find Israel guilty of genocide against the Palestinians it is not required to prove that Israel has the intention to exterminate all Palestinians.Rather all that is necessary is to establish that Israel intends to destroy a substantial part of the Palestinians.The Zionists have certainly done that: more recently, the first Intifada, the Al-Aqsa Intifada, Operation Cast Lead,Operation Protective Edge,etc.Furthermore in paragraph 293 and 294 of its 2007 Bosnian Judgment the World Court found that you did not even need 250,000 exterminated Bosnians to constitute genocide, let alone six million dead Jews.Rather event he 7,000+ exterminated Bosnian Muslim men and boys at Srebrenica were enough to constitute genocide. Starting in 1948 Israel obliterated 500 Palestinian villages from off the face of the earth literally reducing them to rubble now scattered across the Palestinian countryside in order to prevent their ethnically cleansed inhabitants from ever again returning to their homes because their homes no longer exist.I have been all up and down Palestine and Israel. I have seen the ruins of these villages myself with my own eyes. I protested such atrocities to the highest ranking legal officer in charge of the military occupation of Palestine on the West Bank in his own office.When I said these are Nuremberg crimes that you are inflicting on the Palestinians, he pleaded the so-called defense of “necessity.” I responded that the “necessity” defense was rejected at the Nuremberg Tribunal in1946 when the lawyers for the Nazis made those arguments at that time.Do you know what he told me? His words were:We have public relations people in the United States and they take care of these matters for us!So in other words he didn’t disagree with anything I was saying.He basically conceded it, but that it was all a matter of public relations here in the United States.Then I met with the Legal Adviser to the Foreign Ministry of Israel in his office.He gave me the exact same answer.Finally I met with the lawyer for the Ministry of Injustice in Israel in his office and he gave me this exact same answer too.They didn’t refute my arguments.Basically they conceded them: What Israel is doing to the Palestinians are Nazi crimes! But all the Zionists care about is public opinion here in the United States.That is where you people come in.You must change public opinion here in the United States and BDS is the most effective way to do this! The list of Zionist genocidal massacres of Palestinians is quite extensive. I won’t go through them all here today.To just name a few of Israel’s most notorious acts of genocide against the Palestinians: Deir Yassin,Tantura, Sabra and Shatila. I was the Attorney for several women who were next-of-kin of the 3,500 Palestinian old men, women, and children who were exterminated at Sabra and Shatila surrounded by the Israeli army and acting under the command of Israeli General Yaron whom I later sued for them. Even the U.N. General Assembly passed a resolution determining that this massacre of Sabra and Shatila in 1982 constituted genocide. To continue this Zionist list of genocide: Jenin, Nablus, and again repeatedly and continuously in Gaza.The Zionists are now threatening another series of acts of genocide against the People of Gaza as we speak today.To repeat: Israel is now deliberately inflicting on the 1.8 million Palestinians in Gaza conditions of life calculated to bring about their physical destruction in whole or in part in gross and flagrant violation of Genocide Convention Article II(c) and the United States government supports this. Even the Great Obama who was behind me at Harvard Law School supported it and did nothing to stop it.Of course the word Trump speaks for itself! Article I of the Genocide Convention requires:“The contracting parties confirm that genocide, whether committed in time of peace or in time of war, is a crime under international law which they undertake to prevent and to punish.”And that is why we are here tonight: “to prevent” Zionist genocide against the Palestinians.It is clear that Netanyahu and his gang of criminals are trying to provoke yet another Intifada by the Palestinians so that they can slaughter them again just like the Zionists did in the Al-Aqsa Intifada. Now that being said let me briefly review the history of the BDS Campaign.The Al-Aqsa Intifada was deliberately provoked by that war criminal and genocider Ariel Sharon at the Al-Aqsa Mosque.I have been on the Haram al-Sharif with Holy Al-Aqsa and the Dome of the Rock where Mohammed ascended to heaven.Sharon went up there with the approval of Prime Minister Barak and provoked the Palestinians and deliberately shot dead many of them trying to save and rescue Al-Aqsa.As we speak here today the Palestinians at the Haram are trying to defend Al-Aqsa day in and day out from these fanatical Zionist Jewish settlers and religious fanatics who want to go in there and destroy Al-Aqsa and build their so-called Third Temple. This is a very dangerous situation. I kid you not!Now that Trump is President anything could happen.We could lose Al-Aqsa and the Dome of the Rock and the Haram to these fanatical religious Zionist Jews.That would have the full support of President Trump.I know of no restraint on this administration when it comes to the Palestinians. So it seemed to me that with the provocation of the Al-Aqsa Intifada, even as determined and condemned by a U.N.Security Council Resolution, that the so-called peace process was over that I had started out with in 1991 with Dr. Haidar Abdul Shaffi. I can assure all of you that Dr. Abdul Shaffi was tough as nail sat these peace negotiations.He would not compromise with the Zionists in terms of selling out the basic rights of the Palestinians under international law.Yes,we were prepared to make compromises but not at the expense of the basic rightsof the Palestinians under international law.That story is told in my book Palestine, Palestinians, and International Law. Dr. Abdul Shaffi kindly gave me permission to write about it. In addition,in my book The Palestinian Right of Return under International Law (2011) you will see press conferences by both Dr. Abdul Shaffi and Hanan Ashrawi that I moderated in Washington D.C. on the Palestinian Right of Return under Resolution 194, which Trump has said we’re going to take that off the table just as we’ve now taken Jerusalem off the table. Well if you read the Oslo Accords you will see that they state quite clearly that all “final status”issues remain open for negotiation including the Right of Return and Jerusalem.It is not for Trump to take any of these issues off the table.Even Israel signed the Oslo Accords under Rabin. So it was clear to me that both Labor and Likhud –Tweedledum versus Tweedledee, I’ve dealt with lawyersand officials on both sides,and there’s no difference between the two — the peace negotiations were dead as a doornail.Thesecond Al-Aqsa Intifada was on.My friend Professor Jamal Nassar, who at that time was Chair of the PoliticalScience Department at Illinois StateUniversity,asked me to give a public lecture on this whole series of events, which I did do.In that lecture on 30 November 2000,I publicly issued an appeal for the establishment of an international campaign of divestment and disinvestment against Israel on the grounds and for the same reasons that we had a campaign of divestment and disinvestment against the criminal apartheid regime in South Africa. I was involved in large numbers of cases in this Campaign against South Africa defending anti-apartheid resisters.You can read about it in my book Defending Civil Rsistance under International Law,including obtaining the first acquittal ever of anti-apartheid protesters up in Chicago at the South African Consulate,Chicago v. Streeter(1985).We even made the New York Times on that one. I know apartheid when I see it.I’ve litigated it all over this country! So I issued this appeal for divestment and disinvestment against Israel for the same reasons we had against the criminal apartheid regime in South Africa, and what was going on by Israel was far worse than that.Now I won’t go through all the history here except to say the next major development was that the President of Harvard University –where I have three degrees –the diehard Zionist Larry Summers publicly condemned those of us involved in the Harvard divestment/disinvestment campaign as anti-Semitic. What a coward! Of course Summers is a die-hard Neo-con Zionist and tried to impose his Neo-con Zionist agenda on Harvard. So after Summers condemned me and the rest of us as anti-Semitic, WBU Rradio station in Boston, which is the NPR affiliate in Boston, called me up and asked me would you be willing to debate Summers for one hour live on the radio with call-ins? I said sure, I’d be happy to.They then called up Summers.He refused to debate me! He did not have the courage and the integrity and the principles to debate me.Well later Harvard fired Larry Summers for imposing his Zionist Neo-con agenda even further on Harvard and his other scurrilous charge that women are dumber than men when it comes to math and science. Well as a triple Harvard alumnus I say good riddance to Larry Summers! So then WBUR asked me would you debate Dershowitz? I said sure, I’m happy to debate Dershowitz.So Dershowitz and I had this debate.It was 25 September 2002.There is still a link on there on WBUR dealing with this scurrilous charge that those of us involved in the Harvard divestment/disinvestment campaign were anti-Semitic. Dershowitz is supposed to be the best lawyer the Zionists have to offer. I clobbered him.It was so bad that during the debate Dershowitz admitted that I was the expert on international law and human rights.Well at least Summers was smart enough not to debate me –unlike Dershowitz!By the way,Dershowitz is a war criminal.Yes, he admitted in an interview he gave to Law Professor Ali Khan that he was a member of a Mossad Committee that approved the murder and assassination of Palestinians.The murder and assassination of Palestinians violates the Geneva Conventions.It is a war crime.So the next time you see Dershowitz up there on TV just remember:One, I clobbered him; and two, he is a warcriminal.Our WBUR debate on 25 September 2002 is the best debate out there refuting scurrilous charges that people involved in the BDS Campaign are anti-Semitic. Now I won’t go through the rest of this history here except to say that in 2005 Palestinian Civil Society Leaders contacted me and said they wanted to setup a Boycott,Divestment, and Sanctions (BDS) Campaign along the lines of the successful Campaign against apartheid South Africa.Would I go in with them? 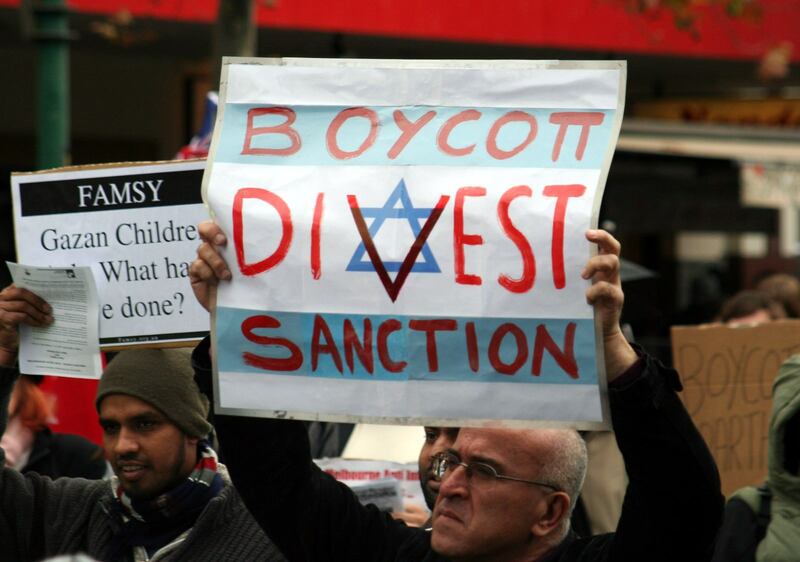 Isaid I would.So today we have the BDS Campaign: Boycott, Divestment, and Sanctions. I am D in BDSand I’m happy to be here speaking withyou this evening.As you know two weeks ago the BDS Campaign was nominated for the Nobel Peace Prize by a Norwegian Parliamentarian and the Nobel Peace Prize is given out in Norway. I think the BDS Campaign has at least an inside track perhaps on winning that Nobel PeacePrize. It’s always a crap shoot who wins those things.Maybe they will come through for the BDS Campaign. I don’t know. But that brings us here today and tonight.What can you do here on the BDS Campaign for the University of Illinois and this surrounding community?We had a very active Campaign against the criminal apartheid regime in SouthAfrica when I arrived here in 1978 and Iimmediately joined it. Again I won’t go through the whole history of that here,including three of our students who were maliciously prosecuted by the University of Illinois simply for holding up signs in the Illini Union saying“Divest Now!”Then they were subjected to a kangaroo court criminal prosecution over here in Champaign County by Judge Townshend.But that was it. Only three of them.They declined our offer to appeal. I thought we had a good chance to win on appeal.Instead they did some community service,were graduating seniors, and moved on with their lives.Indeed there was a law student also involved in the protests and the fascist Dean of our law school instituted disciplinary proceedings against him. I had to go in there and help defend him so that he could continue on with his legal career. But in 1987 the University ofIllinois Board of Trustees divested from the criminal apartheid regime in SouthAfrica.Now think about that:1987!There was a campaign.There was a struggle.But eventually we got the University ofIllinois Board of Trustees to divest from the criminal apartheid regime in South Africa. And divestment took place all over the country. North western. I was involved in helping defend those students up there.Harvard partially, selectively divested. I was involved in helping defend the Harvard alumni there.The University of Chicago — my disAlma Mater where I got my undergraduate degree– die-hard racist bigoted Zionists for sure: they refused to divest and were proud of it.Certainly don’t go to the Universityof Chicago for any reason. Believe me! But we divested here because of the student struggle. Well we did it before, we can do it again!My advice to you all then: set up a Committee. Go out. Read the back pages of the Daily Illini that covered our struggle against the criminal apartheid regime in South Africa here at the University of Illinois starting at least when I showed up in 1978 until 1987.Study the strategy and tactics that were used by the students for that struggle.It’s all there in the Daily Illini.And then come up with your own strategy and tactics to apply here, and those of you who graduate from here who go elsewhere. So this is not a case of anyone reinventing the wheel here.We already have the wheel. Indeed the legal arguments against the criminal apartheid regime in South Africa are all here in my book Defending Civil Resistance under International Law,including the brief we filed in Chicago v. Streeter.And all the arguments against the genocidal apartheid regime in Israel are in my three books here:Palestine, Palestinians, and International Law; Breaking All the Rules (2008); The Palestinian Right of Return under International Law. So the legal arguments are all there. But we need you.We need organization.We need a strategy.We need action.Remember the 1.8 million Palestinians living in Gaza today are at risk.They are counting on us to come through for them!Thank you. During my career, Zionists have accused me of being everything but a child molester. It justcomes with the territory.My responseis that Zionists are more loyal toIsrael than they are to the United States of America.That has been my experience since Ientered the die-hard Neo-conZionist University of Chicago in 1968.So that ismy usual response.Except if you wish youcan hear this debate between Dershowitz and me.You know Dershowitz isIsrael’s go-to-guy here in the UnitedStates.Whenever they want dirty workdone they askDershowitz to do it.Soyou can hear that debate if you want.You’re going to haveto develop the hide of the rhinoceros.Don’t let anyoneintimidate you because of what’s at stake.If Zionists attack you,you say:You people are more loyal to Israel thanyou are to the United States! I’m a loyalAmerican Citizen. I’m exercising my FirstAmendment Rights.If you don’t like it, you can stuff it!Go to Israel! It’s too little and too late. I let thisgenie out of the bottle in 2000. Iknew at that time it was going to spreadlike wildfire all over the United Statesand the World.So after many years of justignoring the BDS Campaign,finally they’ve decided toset up a ministry over there in Israeland launch this lawfare campaign.But they’re not winning.They’re losingacross the board.So Ithink that you just need to keepsoldiering on.Yes, you will be threatened.Indeed a group of Zionist membersof Congress filed a formal complaint with the Department ofCommerce demanding that I beinvestigated and prosecuted just forexercising my First Amendment Rightshere as a U.S.Citizen to set up thatdivestment/disinvestment Campaign.Nothing came of it. You just have to be comfortable with whoyou are and move forward.Becauseright now I’m afraid that BDS is allthe Palestinians have with Trump weighing in against them.It does not lookgood at all.The reports I have readof whatever his so-called Peace Plan is,it’s basically going to be a surrenderplan.It’s sort of like theGodfather making an offer you can’trefuse with Luca Brazzi pointinga gun at your head and saying either your name will be on thatpaper or your brains will be on thetable.I’m afraid that’s what they’re going todo to President Abbas.As we allknow, that’s not going to work. Idon’t think it’s going to work. I dowant to say that based on my work atthe Middle East PeaceNegotiations from 1991 to 1993, we couldhave had peace. I was advising both thePalestinians and the Syrians.TheJordanians — everyone knew they wantedpeace with Israel but they couldn’t gofirst and eventually there was a peacetreaty with Jordan.Fine.At that time regretfullyLebanon was occupied by Syria courtesyof President Bush Senior, so the Lebanese did what the Syrians told them todo.But I knew both the Palestinian and theSyrian positions. Indeed I was draftingtheir papers.We could have had peace! When Prime Minister Rabin came in he signed the Oslo Accordsand then hemoved to negotiating a comprehensive peace treatywith Syria.That peace treaty was modeled onthe peace treaty with Egypt: that is, fullpeace for full withdrawal from theterritories Israelstole in 1967.Thatpeace treaty was ready to go at the endof 1995, but Rabin held it back from theKnesset because an election was comingup.He did not want to make it part of anelection issue.As you know he wasmurdered and assassinatedby a religious fanatic with thesupport of Netanyahu and others ofhis ilk at that time.That was theend of the peace process.There has beenno further development to speak of sinceRabin’s murder and assassination.PresidentArafat said he lost his partner for peace when Rabin wasmurdered. We Have Truth and Justice on Our Side! As I see the BDSCampaign, we have Truth and Justice onour side!We just need to keeparguing Truth and Justice and bring itout to the American People.That’s whatwe did in the Campaign against thecriminal apartheid regime in SouthAfrica.We brought our arguments and ouractivities out to the American People. Aswe all know Congress has been completelybought off by the Zionist Lobby, and theWhite House too these days as we now see it. So there’sno hope there either. We have to take our Campaign out to the American People andeducate them.It’s hard work.That’s true.And not just education but alsoorganization, action, protest,demonstrations. Just look at how thestudents here at the University ofIllinois accomplished this to get the UIBoard of Trustees to divest. I canassure you that that criminal apartheidregime in South Africa that I was upagainst for all those years, they hiredsome of the top law firms and lobbyingfirms in this country to oppose what wewere doing.But eventually they lost because we hadTruth and Justice on our side.Todaythere is no apartheid regime in SouthAfrica.Sure they have their problems — wehave a lot of problems here — but apartheid isn’t one of them.But it stillis going to take a lot of hard work for us toget to that point for Israelis and Palestinians. © Copyright 2018 by Francis A. Boyle. All rights reserved.